Great place to start offsubmitted by JESUS U. - Feb 13, 2019 |Recommended: YesNot a bad place to start off either living on your own or with your couple. Some of the neighbors are be loud sometime but apt have gotten better at enforcing curfew time. Neighborhood is okay. We've never had any problems in terms of safety but pretty safe for the location. Love my communitysubmitted by TAHNNE R. - Sep 13, 2018 |Recommended: YesI have been living here for two years, this month is my renewal month although they do increase my rent, they go above and beyond to make sure my apartment does not need maintenance, and if it does, they do it right away I am please living in the apartment they ladies at the front desk always welcome me with kindness and a smile. response from property - Nov 14, 2018 Good Morning Ms Rojas, This is Nimi from the leasing office. Thank you for giving us an opportunity to serve you. Our tenants best satisfaction and comfortability is our top most priority and highest importance. For any complaints or discomfort in future, please let us know immediately, we will try to finish it asap. sometimes we do need some time to complete your complaints, but please trust us, our tenants happiness and satisfaction lies the first. You are always welcomed to stop by to our office for any further help needed. Gracias por su servicio.submitted by IDAELBIS S. - Sep 12, 2018 |Recommended: YesMe gustarÃ­a apreciar el excelente servicio que villa barcelona brinda para mÃ­ cada vez que necesito ayuda. response from property - Sep 12, 2018 estamos agradecidos por sus comentarios, estamos aquÃ­ para ayudarlos con sus peticiones. Property is well kept no major compliants.submitted by Raven H. - Aug 30, 2018 |Recommended: YesI only been here 2 1 2 month and so far so good. No major complaints. I love my placesubmitted by MERCEDES S. - Aug 04, 2018 |Recommended: YesI been a tenant here for about 6 years and i seen the changes with the previous management. They had upgraded a lot from in and out. I asked for a transfer to a bigger apartment and i was amazed I was really in love with the grayish ceramic tile new appliances and other features. Although, they are strict with the parking permits for one bedroom they have been enforcing many things for the safety purposes of the tenant. response from property - Nov 14, 2018 Good Morning Ms Saurez, This is Nimi from the leasing office. 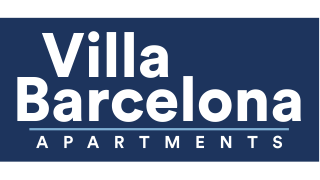 Thank you so much for giving us an opportunity and pleasure to serve you as a current tenant to unit # 907 at Villa Barcelona apartments. Our tenant's Safety, Satisfaction and happiness lies on the top most and highest importance. Regarding Parking restrictions, We are just trying to make it easy and with equality, to have each unit have at least 1, 2, and 3 parking spots for free and then for any extra parking spot , you can always have reserved parking spot with your choice of spot #. We also have specials going on for the reserved parking going on right now. Please stop by to our leasing office for any further inquiries and knowledge regarding these specials, we will be pleased to help you in the best way and help. Thank you again. Friendlysubmitted by LAZARO G. - Aug 03, 2018 |Recommended: YesI love my community, they help me with whatever I need, its a clean property, gated with make it extra secure for me also i love that they have security and cams makes me feel secure. love the cleanliness of the apt. and the friendly staff. Great staff, and Lovely place to live.submitted by YARAISY R. - Aug 03, 2018 |Recommended: YesI love my home, when i first move to this apt about two years ago they made the process so easy, the ladies at the office are always there to help me and solve if i have any problems , when I have maintenance request they go as fast as they can, the only problem I have is that I work during night and its a bit hard to find parking but beside that Im in love with my community. Need Visitors parking that is the only issuesubmitted by JUAN . - Jul 02, 2018 |Recommended: YesI would but once again no one likes living in s place without visitors parking. Love my townhomesubmitted by Eric F. - Jun 25, 2018 |Recommended: YesThis place was one of the apartments that was close to work and not too far from Midtown. Only about 12 minutes away. I love the townhome I selected. It's 3 story loft style with a private patio on the top floor that faces the pool. Though the electric can get a little high it is 3 stories and in Houston so that's a given. It's pretty quiet and I have a reserved spot so parking isn't an issue. The staff is very nice and love that I can pay rent online and put work orders online. New to Houston but no complaints.